If you’ve been looking for a vehicle that suits your family but doesn’t cost an arm and a leg, why not take a look at the used Chevrolet Equinox SUVs for sale right now at Chevrolet of Naperville. With available features like V6 power, all-wheel drive, and the Chevy MyLink infotainment system, the Equinox boasts commanding performance and modern convenience. When you’re here, check out and test drive the 2017 Chevy Equinox. Our staff will gladly guide you through our Equinox inventory onsite, and you can also reach out to us with any questions you might have! Chevrolet of Naperville has a variety of used Equinox SUVs for sale, as well as an array of other vehicles that prove valuable to small and large families alike. Folks throughout the Chicago area know they can count on us for selection and service. 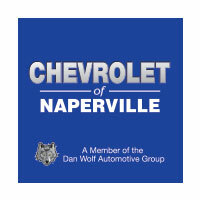 We’re a member of Dan Wolf Automotive Group, which has been a trusted community institution since 1971. Whether you need an oil change, a new or used car, an auto loan, or just want to know more about what we’ve got for sale, you can always rely on us. Make your way to see us Monday through Saturday to check out our used Chevy Equinox SUVs!